The objective of this work is to capture and share the scientific production of Spanish-speaking psychologists, which is little known in the Anglo-Saxon world. In contrast, the theorists and researchers of English-speaking psychology are well known in Ibero-America. This book aims to help reduce to some degree this terrible, unfortunate, and chronic gap. This first volume is composed of nine chapters that were written thanks to the contribution of nineteen authors. This book shows openness to any theory that guides the research performed by the different contributors, and the methods used and the problems addressed are very varied; it reflects, as Popper pointed out, the desire to differentiate the known from the unknown through scientific research. In what follows, the nine chapters are very briefly described. In Chapter One, Romo aims to identify the cultural identity of professional and academic psychologists through their own testimonies, based on their accounts of when they studied the career of psychology. In Chapter Two, Téllez and Padilla pose the low quality of the programs that train psychologists and propose a certification by national organizations at the graduate level to positively impact quality. Carrascoza states in Chapter Three that, during the colonial period, the creoles invented the myth of the Mexican identity, against the peninsular Spaniards, and enthroned the adoration of the indigenous past. In Chapter Four, Valle and Moral showed evidence of an extended scale to measure internalized homonegativity and its validity. They used exploratory and confirmatory factor analyses, obtaining evidence of both convergent and discriminant validity, arriving at a hierarchical model composed of three first-order factors and one second-order factor. In Chapter Five, Pompa, Meza, and Garcia point out the importance of dissatisfaction with body image, derived from overweight and obesity, which in turn leads to psychological and psychiatric problems such as depression and anxiety in adolescents. The phenomenon of exceptional abilities was studied by Rodríguez, Sánchez, and Peña, who communicate in Chapter Six that schoolmates conceptualize the giftedness of their peers as superior intelligence, extraordinary cognitive abilities, but associate it with poor social skills; the authors use a descriptive, transversal, and qualitative design. 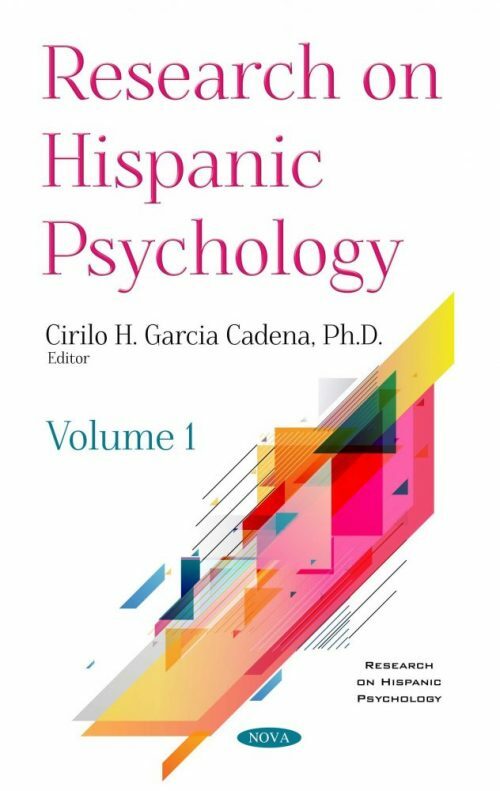 In Chapter Seven, Sánchez, de la Garza, and Aquino adopt a cognitive approach to understand how human beings process experiences from their interaction with the physical and social world within the subdiscipline of environmental psychology. Richaud, Mesurado, and Lemos summarize, in Chapter Eight, several studies on prosociality, its types, and targets, including important variables related to it, especially in adolescence and childhood. Finally, Vargas and Richaud study, in Chapter Nine, parenting styles and their important influence on the cognitive, emotional, and social development of infants, children, and adolescents.